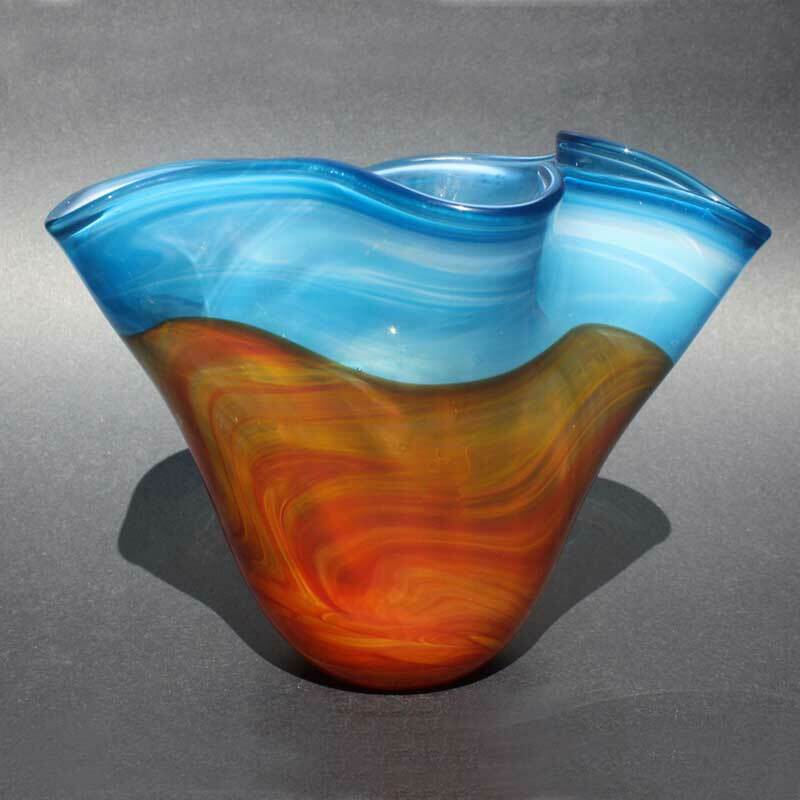 The bowl is approximately 6 x 6 x 6 inches. 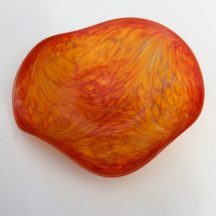 This handblown glass bowl features mountains of orange and deep red glasses with a silver layer. The shadowing patterns are formed by the interactions between the silver, cadmium and selenium in the different glasses. Each piece is one-of-a-kind with an interior layer of white that creates an internal glow to set off the richness of the other colors. The bowl is approximately 6 x 6 x 6 inches.